Developing and demonstrating technologies and methodologies to support effective Exascale computing in the context of science/engineering applications. To advance a co-design strategy that combines exascale emulation with a novel energy-efficient numerical approach. The center will perform petascale, and work towards exascale simulations of instabilities, turbulence and mixing in particulate-laden flows under conditions of extreme pressure and temperature to investigate fundamental problems of interest to national technological leadership. 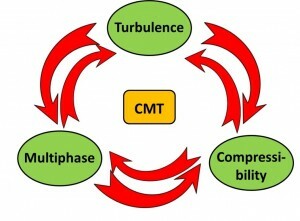 Verification of codes and validation of the physical models are substantially harder for CMT. 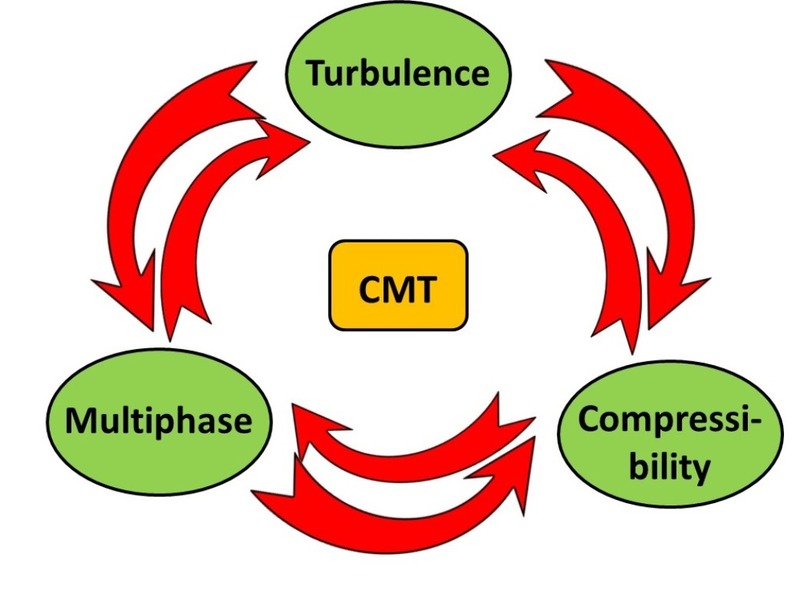 The center will engage in vigorous verification, validation, uncertainty reduction and uncertainty propagation activities in the context of CMT. The center will develop novel techniques for accurate characterization of probability tails in the uncertainty quantification of rare but critical events. The center will leverage the unique Novo-G facility at UF to develop an unprecedented capability to behaviorally prototype in hardware a variety of promising next-generation exascale architectures for CMT application. This center is funded for five years.